KSA-S steam generators feature an advanced electronic control with fault diagnostics having different code to show each situation of the generators. Safety features include boil dry protection, thermal overload safety cut out and pressure relief valve. Mirror-polished stainless steel shell luxurious appearance! KSA-S steam generators have middle size to install easily. They have 304 stainless steel water tanks, 304 stainless steel heating element with high quality Teflon to prevent water scale. 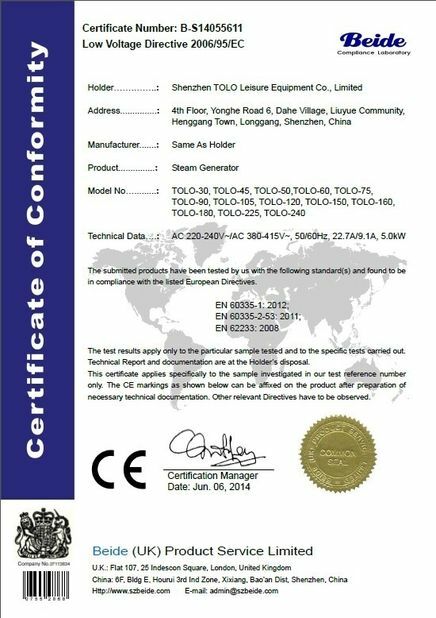 KSA-S series steam generator has KSA-S 3.0kw, KSA-S 4.0kw, KSA-S 5.0, KSA-S 6.0kw, KSA-S 7.0kw, KSA-7.5kw, KSA-S 8.0kw, KSA-S 9.0kw, KSA-10.5kw, KSA-S 12.0kw, KSA-S 15.0kw, KSA-S 18.0kw, KSA-S 22.0kw, KSA-S 24.0kw. 1. The KSA Elegance touch screen control kit has 6 bottoms to set working stages. Working time 1-60mins can be adjusted or long , the setting temperature of the steam will be in 6-60C degrees and can be adjusted between 35-55C degree (95-131F degree).KSA-S steam generators feature an advanced electronic control with fault diagnostics having different code to show each situation of the generators. 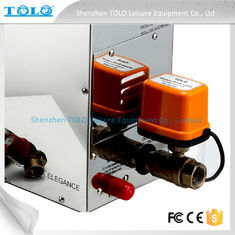 Safety features include boil dry protection, thermal overload safety cut out and pressure relief valve. 2. KSA-S steam generators have an auto drain down with a self flushing cycle to dump the boiler contents in a controlled manner. At the end of each steaming session the drain valve will open and after a short time the cold water inlet valve will open to give a period of continuous flushing and draining. Flushing and draining the boiler reduces the build up of damaging limescale, cooling the elements before the final drainage helps prolong their useful life. 3. Each KSA-S steam generator has 3 groups of heating elements to provide heating by segment. From cold all 3 groups operate for maximum power and rapid heating, when the steam room temperature is almost reached, then group 1 stop, when the required temperature is achieved, then group 2 stop. The group 3 alternates on and off to gently maintain the temperature without large fluctuations improving user comfort. 4. The origins of the steam bath come from the Roman bath, which began during the height of the Roman Empire. A steambath is an ancient type of bath, first made popular by the ancient Greeks and Romans. Ancient Roman baths served many community and social functions within Roman society. Everyone in Rome used Roman public baths, regardless of socioeconomic status. 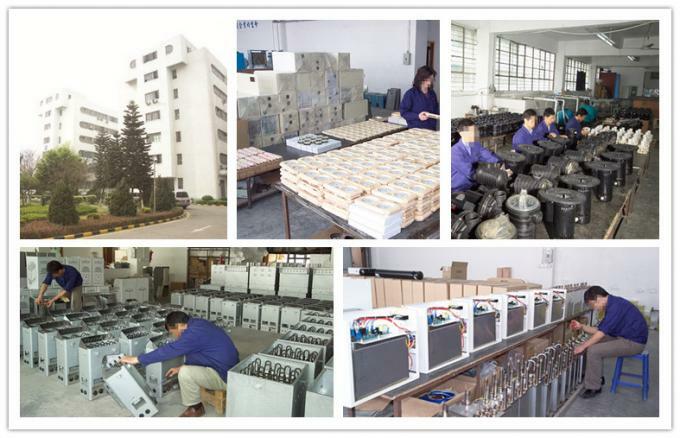 Shenzhen TOLO Leisure Equipment Factory provides each kilowatt you required. 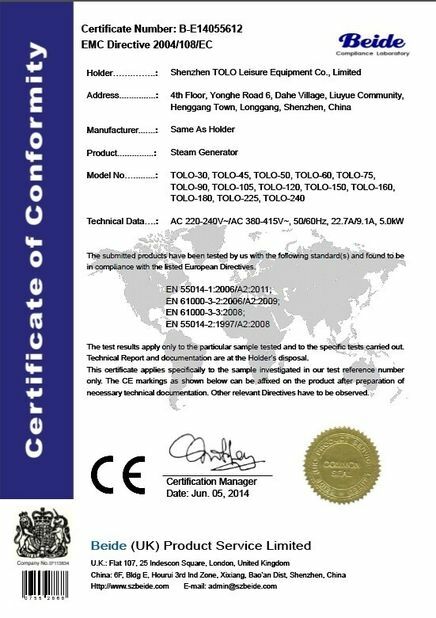 We are the real factory to produce steam and sauna products more than 10 years. The best price will help you enlarge your market.